Elizabeth Warren’s claim that she is 1/32 Native-American, and thusly qualified to list herself as a minority on law school directories, has collapsed around her and it is now almost certain that she contains no Native-American blood whatsoever. When this story first came to light and the genealogists started digging around to find the truth a member of the New England Historic Genealogical Society claimed he had found proof which showed that Elizabeth Warren was 1/32 Native-American because her great-great-great grandmother was part Native-American. Supposedly a marriage license application showed her distant relative to be part Native-American, but nobody has been able to uncover this document. Elizabeth Warren immediately began damage control by claiming she knew she was Native-American because family members told her so, in fact these family members went so far as to claim Warren’s grandfather had “high cheekbones like all indians do.” This was supposed to be enough proof to quiet down Elizabeth Warren’s detractors but it only served to ignite the controversy. The reason why the document cannot be found is simple, it does not exist because Oklahoma did not keep such records in 1894. It turns out that the New England Historic Genealogical Society was not siting the original marriage license application, but rather a family newsletter written in 2006, nearly twenty years AFTER Warren claimed she was a Native-American. 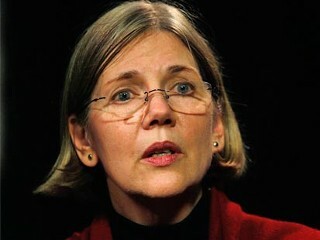 Much like Elizabeth Warren used family folklore as proof of her heritage, so did the NEHGS. With absolutely no legitimate proof to validate Elizabeth Warren’s claim it now seems all but certain that her whole family history has been fabricated and she used this fabrication to advance her career; even her excuse for listing herself as a Native-American (she claims she wanted to meet other Native-Americans) falls short because she never bothered to attend one event sponsored by the Harvard University’s Native American Program. If this were the true reason behind her deception it seems highly likely she would have attended events which had the purpose of introducing Native-Americans to one another. Elizabeth Warren’s whole career has been built upon a lie and now she is looking to advance her career once again, only this time her lie might put an end to her career advances. How can the voters of Massachusetts trust another word this woman says after she lied about who she really was? Well, they sure shouldn’t believe her, but then they believed Teddy. Have you seen any polls on how she and Scott Brown are matching up? She is exactly the kind of person we don’t need in Washington. Rasmussen was on the radio yesterday and he had Brown leading by a few points. Virtually a dead heat and this poll came after the flap began. The Herald isn’t going to let this story go and Breitbart is hammering her and now the Globe has begrudgingly started to cover it so it will be interesting to see if this ends up doing her in. Think about this concept. If a conservative with larger than normal lips and nose were to “claim” they were of African descent, how far would they get? This is probably the most racist statement I have ever heard coming from a political camp. Sick, screwed up, egotistic elitists! That is a great question and we all know the amswer; the conservative would never work in politics again. When you really break it down, this lie…this deception tells you a great deal about the person. She pretended to be something she was no so she could gain some sort of advantage and no-one questioned her about it. The same dirty underhanded things she claims those who have achieved success have done she herself has done. She is a hypocrite and liar. I do hope the good people of Massachusetts have the good sense to reject her and her behavior.